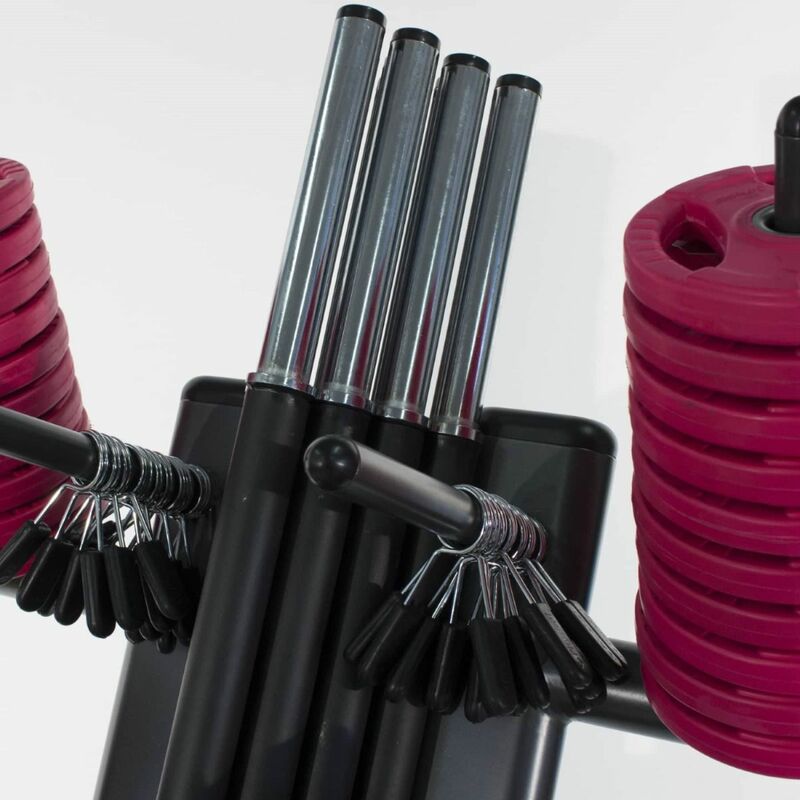 A great addition to any gym or fitness centre this body pump club pack comes with 12 pump sets and storage rack with black bars and coloured discs. 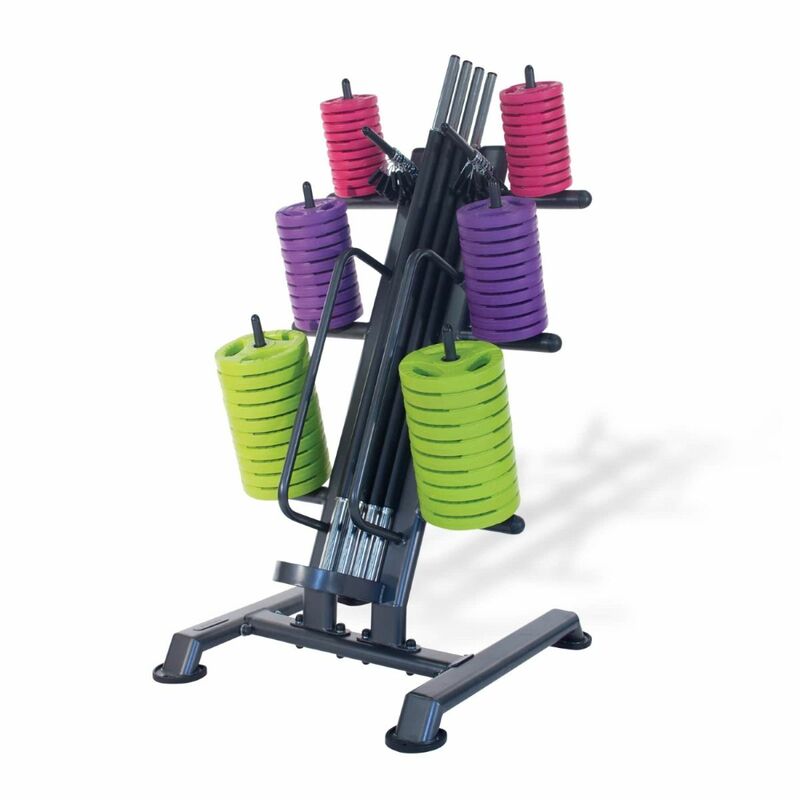 This is a great package for studio and group exercise sessions at your facility. 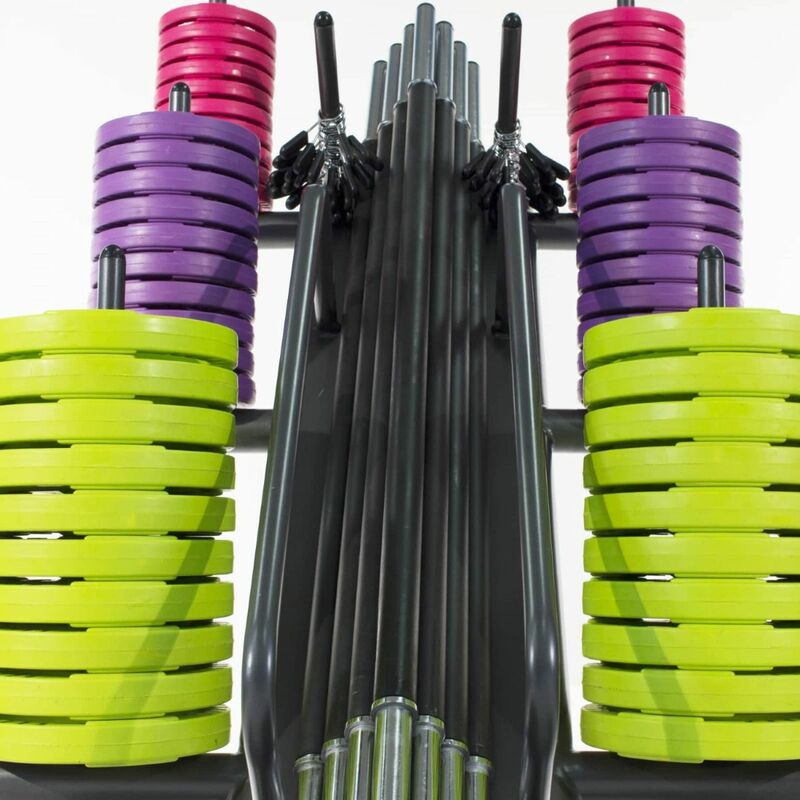 The rack provides a simple and effective way to store 12 physical pump sets without cluttering the gym floor and takes up minimal floor space. 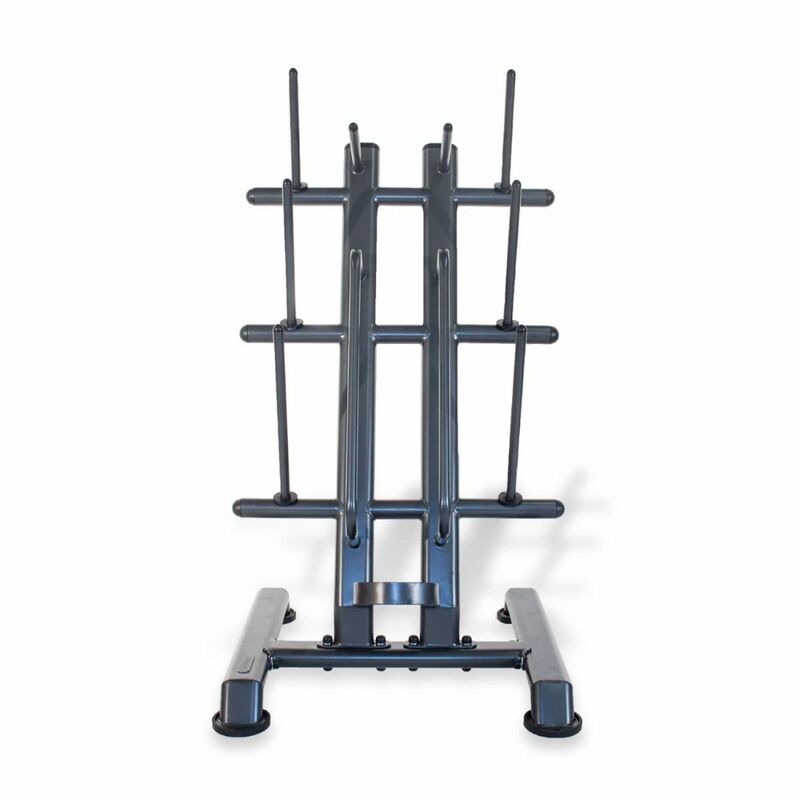 The rack will allow you to hold all the 1”/30mm discs, the bars and spring collars. It may also hold 1 inch discs from other manufacturers as well. The pump set comes with a 1400mm hollow black bar with a protective sleeve and 30mm spring collars. The colour coded rubber discs are well designed with 3 integrated hand holes which allows you to perform additional exercises and makes them easy to move around. Rack complete with 12 Pump Sets - Coloured Discs and Black Bars. 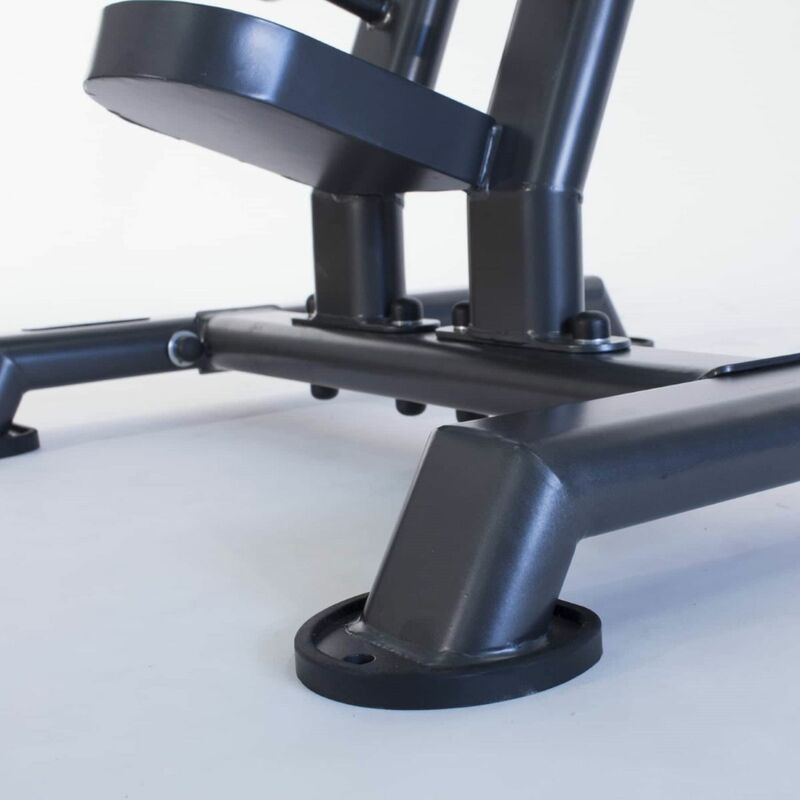 This is the ideal set for your club, studio or group exercise sessions. A simple and effective way to store 12 Physical Pump Sets with minimal floor space requirements. 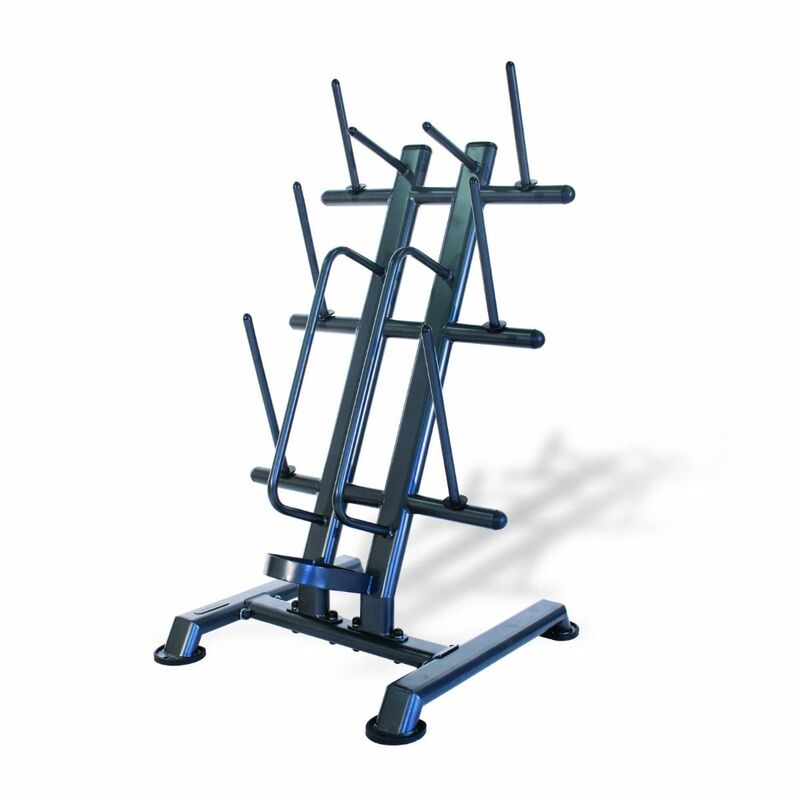 This rack can store 1” and 30mm discs from other manufacturers. The pump sets are an excellent alternative for Strength Training during Personal Training and Group Fitness sessions. The new solid virgin rubber discs have 3 integrated ergonomic handles giving additional exercise capabilities and added comfort. - 8.5kg 1400mm x 30mm chrome bars (max load 60kg.